I’ve experienced a once in a lifetime experience! Trondheim Symphony Orchestra arranged a viewing of the Norwegian movie Kon Tiki, while playing the soundtrack. The film is about Norwegian explorer, ethnographer, author and artist Thor Heyerdahls expedition across the Pacific Ocean on the raft Kon Tiki. The voyage took him and five others from Calao in Peru to Raroia in French Polynesia, and Thor Heyerdahl proved something in which noone believed: that ancient man saw oceans as pathways, not barriers. He’s one of my idols, precisely because he dared when nobody else believed, and because he was multi talented and one of the few Norwegians ever to have shaped world history. Amongst a people counting (at the time) barely four million, that’s not a small feat! The movie’s music is awe inspiring, and composed by the swede Johan Söderqvist. It can’t really be described, it has to be experienced. Suffice it to say that the main theme is played on a conch shell. On another note, the film was nominated for an Academy Award for best foreign movie the year of its release. If you’ve yet to see it, you have something really great to look forward to! At one stage in my life, I dreamt of being Thor Heyerdahl. Nowadays I’m happy if I manage to become a shred of the man he was. He’s one of the reasons I’m alive, because he taught me how to dream. And the movie is a reminder of just that: without dreams, you are nothing. As an author and fan of Stieg, I’m against this book. But as a fan of his amazing characters, I’m thrilled. As such, I’m reading with anticipation and mixed feelings. Unfortunately, I fear that Stieg’s father and brother ended up pressuring Eva into never wanting to release and/or find someone to finish Stieg’s unfinished manuscript, when they threatened to kick her from her apartment unless she handed over Stieg’s laptop. For those not in the know, there was a fourth manuscript, it was unfinished, and I think Stieg would have wanted Eva (or someone of her choosing) to finish it. My latest book is inspired by Stieg’s books, and I hope that people who liked them will also like my book. 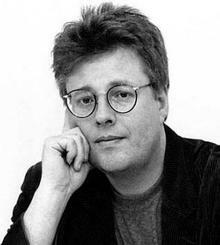 I wish that Stieg could still be alive to witness how beloved his characters and stories have become.